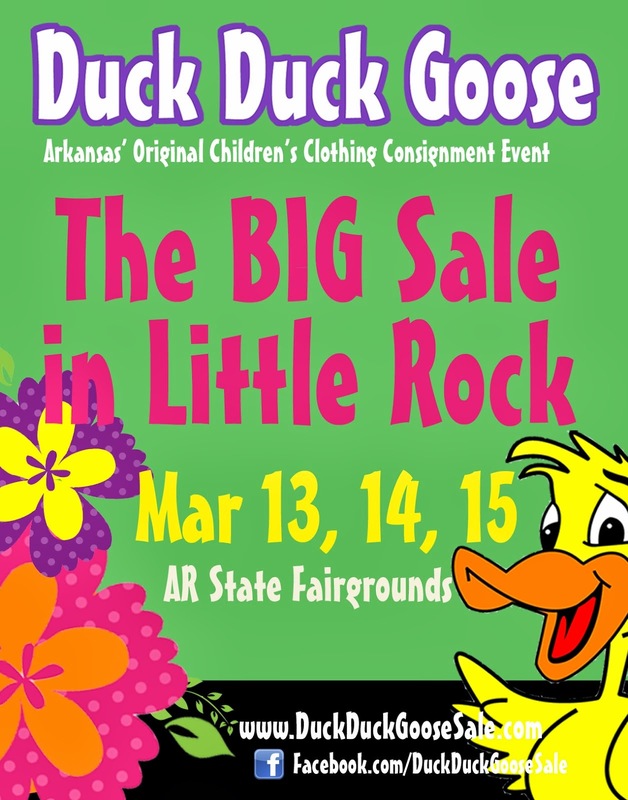 Duck Duck Goose Blog: When do we check in for the Little Rock Sale? When do we check in for the Little Rock Sale? Monday, March 12th, from 12:00pm - 8:00pm. Tuesday, March 13th, from 9:00am - 6:00pm. Drop off times are at your convenience; there is no appointment necessary. 1. Before arriving, please arrange items by size order and separated by gender. 2. Upon arrival at the sale, hang items on an available clothing rack. 3. A check-in associate will make sure there are no stains, tears, or missing buttons. 4. While your items are being checked in, you will sign a consignor agreement. 5. After the check-in process, all clothing items must be placed on the correct rack and all toys, etc, must be placed on the sales floor. 6. Remember to pick up your Preview Party pass when you check in your items. 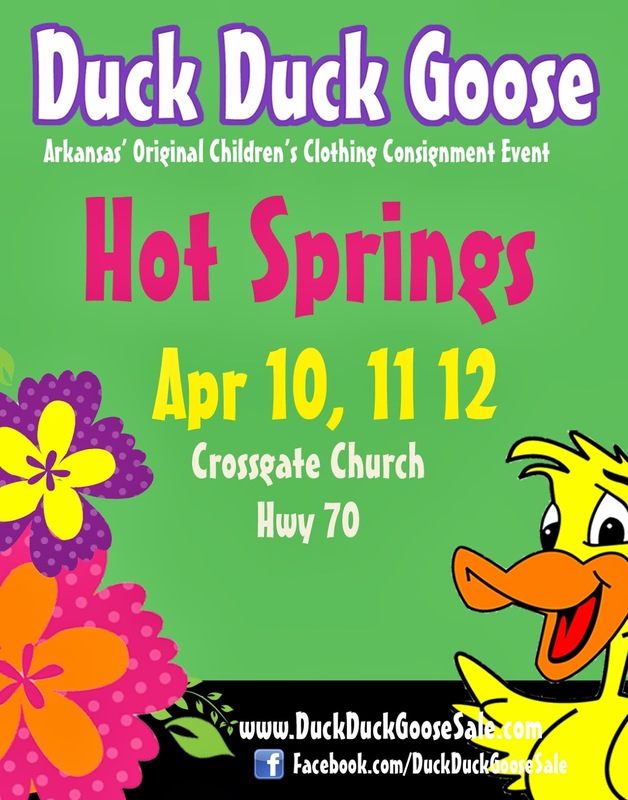 Consignors shop before the public on Wednesday, March 14th! If you are consigning for more than one DDG sale is the limit 100 items per email address per sale or 100 items per email address?